What to do when your car accident doesn’t happen in Toronto Ontario? Where to find the best personal injury lawyer. It’s gets really cold and snowy in Toronto, London, Peterborough and other parts of Ontario. That’s why so many of us Ontarians flee the cold weather for warmer pastures in the winter. My wife and I are just like you. We don’t like the cold very much so we recently went to Florida to leave for a Caribbean cruise. It was a blast. Editorial note: we were on the largest cruise ship in the word; what a treat! (go during an off season as it was 75-80% full). We flew in to Miami, stayed with a friend, and he took us to Fort Lauderdale. We were so happy that we wouldn’t be rushed to catch our cruise ship straight from the airport. We thought we were being smart. We had plenty of time to pack up our stuff and catch our boat. But enroute to our ship, we were involved in a car accident. Can you believe that! It seems like my work as a Toronto Personal Injury Lawyer at Goldfinger Injury Lawyers just follows me wherever I go! This was by no means a small car accident. We were waiting at a red light in a Lexus IS 250 (like a fancy Toyota Corrolla) when we were hit by a young punk driving a Honda Civic SI. The other driver was probably going between 45-60km/hr. His car’s front was completely smashed in (like an accordion). His car was a write off. The rear of our car was smashed in as well such that the truch wouldn’t open or close. The impact was so hard that it caused our car which was at a complete stop to move forward and rear end another car. A three car motor vehicle accident! What a terrible way to start off my sunny vacation! Both our car and the other car that hit us were write offs. I couldn’t imagine of a worse way to start my trip. I was thinking if I were hurt, I would sue the pants off this guy…literally! I was sitting in the back seat at the time of the accident. I was shaken up and foggy. This was my first time experiencing a bad car accident myself. Now I know how some of my personal injury clients feel. What a terrible feeling. I don’t wish it upon anyone. It took me a while to get out of the car. All I thought about is how bad I wanted to punch the jerk in the face that rear ended us with his car. Then I started to worry about my health and my the health of my wife and our friend. My friend who was driving is a doctor. He prescribed my wife and I with Naproxen, which is a pain reliever and anti inflammatory. We were worried that we would have chronic pain as a result of the car accident. Chronic pain as many doctors and clients will attest is no laughing matter. It can be completely debilitating. My wife and I were popping these pills like candy all trip. The end result is that we were both ok. Thank goodness. But, we were alarmed at what we were to do following the car accident which took place outside of Ontario. Luckily, the police came to the scene following the accident and ticketed the jerk that hit us. We got medical attention on the ship and when we returned home to Toronto and London Ontario. We also reported the car accident to our car insurace company. Had the car accident been more serious, we would likely have needed to attend at a hospital, return home to Toronto or London, and consult with a personal injury lawyer right away. The laws for car accidents in Toronto, London, Peterborough and the rest of Ontario are much different than the laws for personal injury car accidents which take place outside of Ontario. It’s important to consult with a lawyer from the jurisdiction where the car accident happened to properly understand your rights. I get many calls a day from Toronto area residents who get hurt in car accidents which take place outside of Ontario. Regretably, I cannot assist these people very much with their pain and suffering claim as this will have to be started outside of Ontario. But, we can assist these people in finding the best personal injury lawyer for their case. Goldfinger Injury Lawyers can also assist these people with their accident benefit claims regardless of where the accident took place. These claims can result in significant monetary compensation being paid to the accident victim from an Ontario Insurance company, so there’s no need for you to appear in Court in the place the accident occurred. You will need to contact a personal injury lawyer at Goldfinger Injury Lawyers to find out more about what benefits you may be entitled to following your car accident. Finally, I would be remiss if I didn’t comment on Jeremy Lin’s meteoric rise in the NBA. Over his past 6 games, he’s torn up the league. I can’t believe this unassuming Harvard graduate is competing at such a high level in the NBA. Have you been watching him play? I can’t explain it. Nobody can properly explain it. In any event, Goldfinger Injury Lawyers is a proud supporter of Jeremy Lin. We wish him the best of luck in his NBA career and we hope he keeps up this pace. It’s certainly entertaining to watch as a fan. 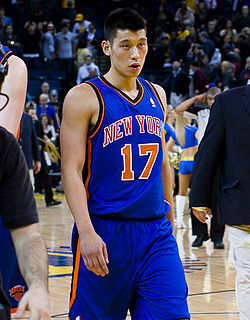 Did I just mention Jeremy Lin in my personal injury law blog? Yes I did. That’s what makes us so special. We’ve got personality.